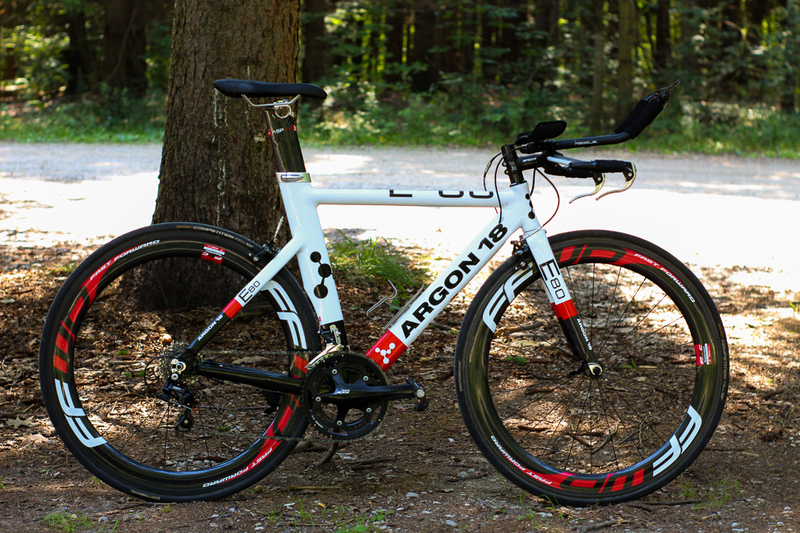 With the Ontario road season over, I figured now would be a good time to give you all a full break down on the Argon18 E-80 time trial bike that a rode at the Provincial Time Trial Championships last month. There are a few unique parts on this bike so I thought some of you might be interested in what I was riding. The frame is an Argon18 E-80 time trial frame. The Argon18 E-80 is an aluminum frame that features aero tube shaping thanks to some impressive hydroforming with a bladed carbon fork and seat post. The wheels I used were a set of borrowed FFWD tubulars which were glued up with some Continental tubs. It was an added bonus that the FFWD wheel graphics matched the paint job of the Argon18 E-80 so well. The drivetrain is probably one of the more unique parts of this bike. 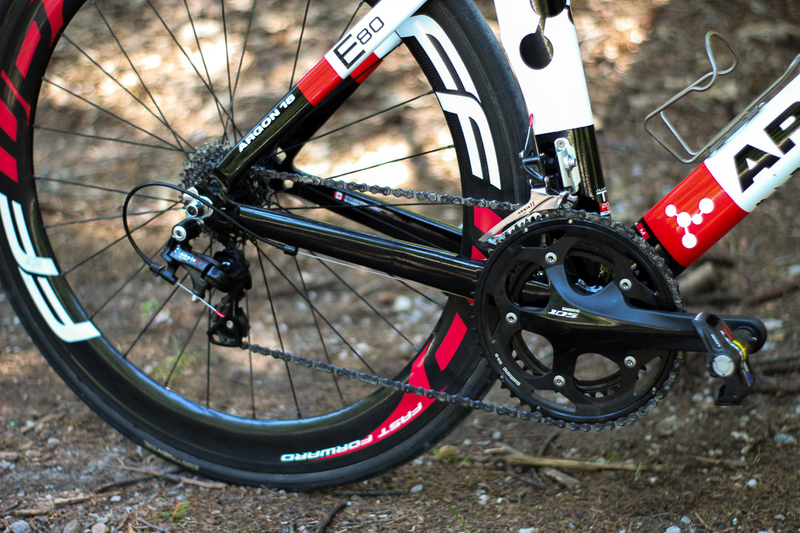 The cranks are a set of Shimano 105 5700 cranks with 53/39 chainrings paired with a 11-28 cassette. I had been running Osymetric non-round chainrings before, and while I did like them, I decided to switch back to standard rings to keep things consistent across all my bikes. The unique part is the use of Microshift Arsis 11 derailleurs. 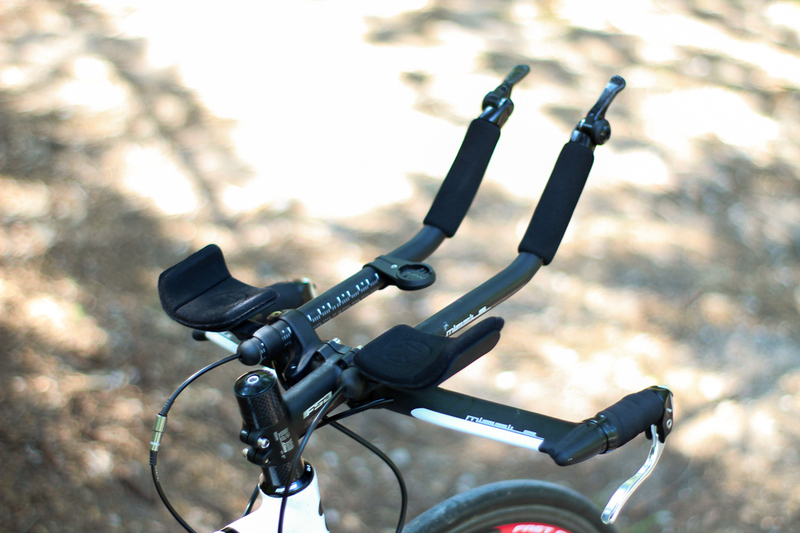 Though frequently considered a budget option, the Microshift derailleurs and shifters have been flawless. I used a set of Look Keo power pedals in order to pace my efforts on the Argon18 E-80 rather than my trusty Stages. Sadly, they had a tendency to read quite a bit higher and with the current batch of power pedals being podless and easy to install, the Looks just don’t make the cut. My base bar and extensions of choice on the Argon18 E-80 are the Pro Missle Alloy bars in the ski bend shape. The stem is just a basic FSA stem and you can see the Wahoo mount there for my Wahoo Element computer. 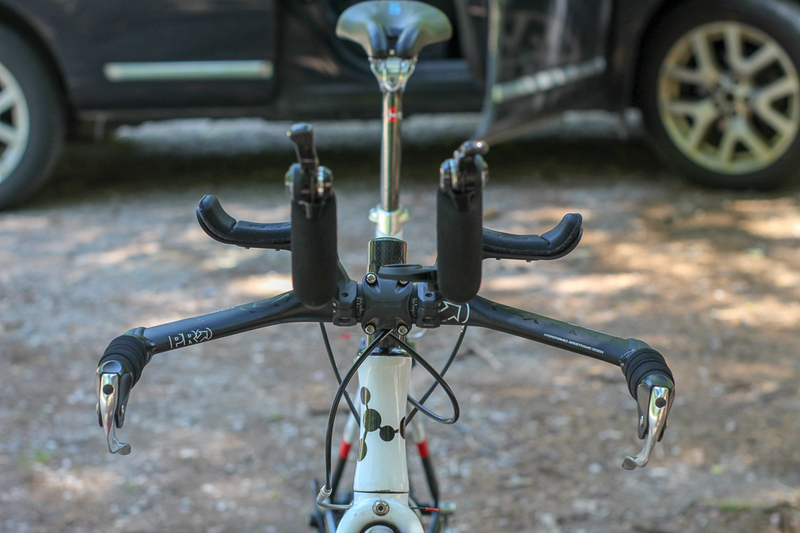 As I said before, the shifters are from Microshift while the brake levers are Tektro which are connected to a set of Tektro Quartz R725 brake calipers with the front one mounted on the back of the fork to hide it from the wind. Of note, the grips on the extensions are a pair of foamy mountain bike grips. My position on this bike included angling the extensions up a bit in order to try and get my hands up more in front of my face. Unfortunately, this position was considered to close to being “Praying Mantis” for the UCI’s liking, so I’ve had to make some adjustments to my hand position since then. Also, don’t worry, that sternum buster is gonna get cut off. I only got the Argon18 E-80 like 2 weeks before race day so I was still playing around with my position and wasn’t ready to commit to cutting the steerer tube. 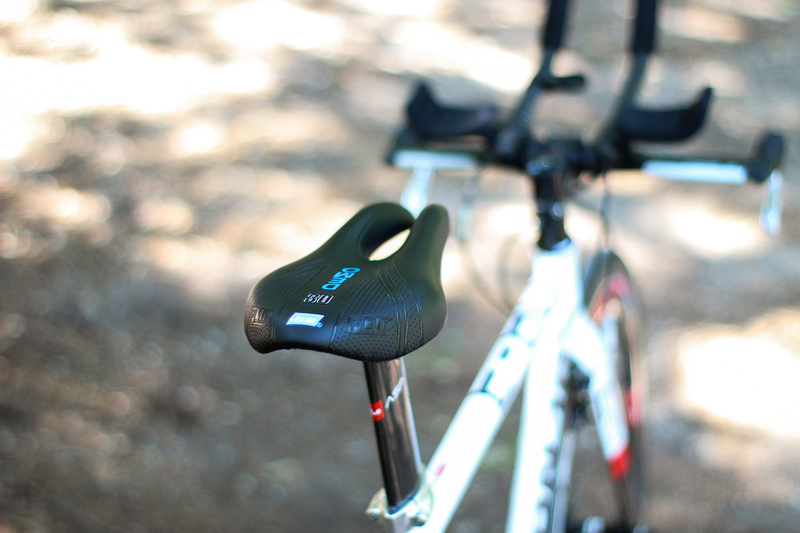 Finally, my seat of choice on the Argon18 E-80 was courtesy of ISM. That too has been switched out since the event, but on the day it did the trick. I hope you enjoyed this run down on my Argon18 E-80 time trial bike. If you want to know anything else about the bike, just leave your questions in the comments. I have a bunch of upgrades in mind for this bike so stay tuned for updates as the bike continues to evolve.